Ever wondered what staying in an ultra-luxury chalet is like? 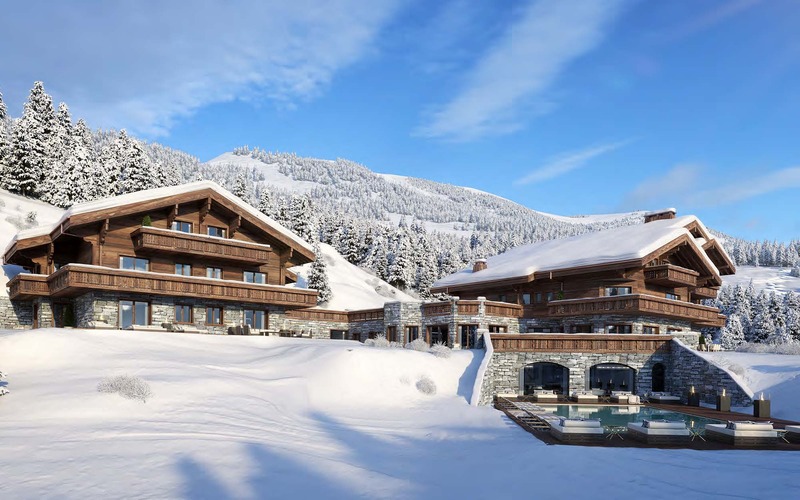 This December, Ultima Collection are opening two brand spanking new ultra-luxury chalets in Crans-Montana and we’ve been given a sneak peek at what’s behind those beautiful timbered exteriors. Situated in the heart of the Crans-Montana region, the two chalets will undeniably provide a tranquil haven within this picturesque landscape, boasting incredible interiors to rival their exceptional views. The larger chalet offers 11 suites, making it ideal for groups. Guests will have a huge amount of entertainment at hand, with a billiards room, yoga studio and a fully equipped fitness centre. The second chalet is more intimate, with a total of six suites as well as an impressively spacious open plan kitchen area, perfect for hosting small groups of friends or family. What’s more, guests to both chalets will benefit from an exclusive range of services and amenities, which include a 1000m2 Spa, a high tech cinema, a top class chef and a dedicated concierge service. The chalets are the work of Ultima Collection, the minds behind popular luxury hotel Ultima Gstaad and are sure to bring a new level of luxury to the Swiss resort. Bridging the gap between the luxury hotel and real estate genre, Ultima Collection founders Byron Baciocchi and Max-Hervé George, have built on the privatised chalet concept with the creation of these two independent chalets, which encapsulate the exceptional level of service, privacy and comfort that has become synonymous with the Ultima brand. Indeed, the Ultima Crans-Montana Chalets are aiming to emulate the luxury character of their sister property, boutique hotel Ultima Gstaad. The same unique and opulent style runs throughout the chalets, aligning traditional architecture with modern touches. Soft furnishings and textiles beautifully complement the wooden interiors, marble bathrooms and bronze chimneys to give the perfect modern Alpine feel.